I’m not a wine expert by any means possible, but it’s a pretty universal truth that wine (particularly red) tastes better when it’s given time to breathe. In the past, this process was achieved by decanting the wine…but c’mon, this is the insta-gratification generation, and we won’t be satisfied with anything that takes more than a minute of our precious time. 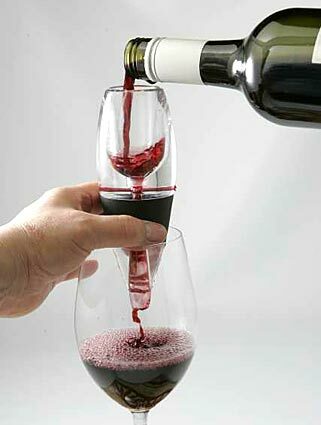 Enter Vinturi, a remarkable feat of wine-loving engineering that automatically opens up the full body of wine…as you pour. That’s right. 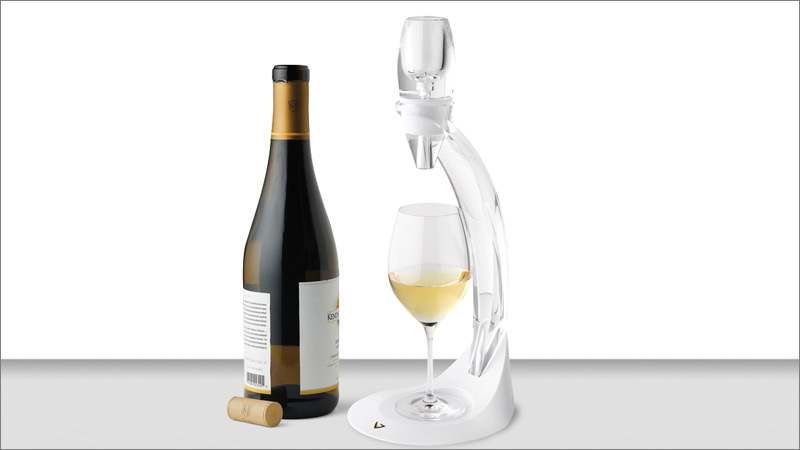 All you have to do is place Vinturi over your glass, pour the wine through it, and it automatically mixes the proper amount of air for the right time to give your nose and tastebuds a truly sensational experience. Add to that the thing just looks damn cool. 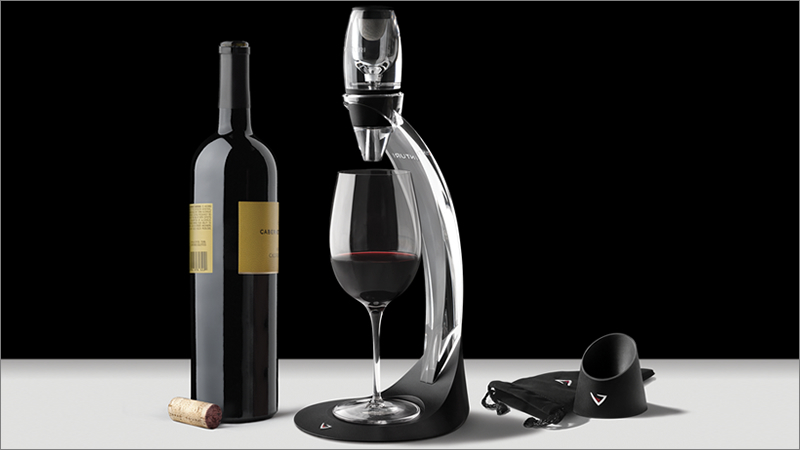 You can pick up the Vinturi on its own – in an at-home and travel variety – or you can splurge for the stand that functions on its own as a piece of sleek kitchen art when not pouring the best bottle in your collection. They’ve also got a version for white wine, which is fabled to not need ‘opening’ the way red does. 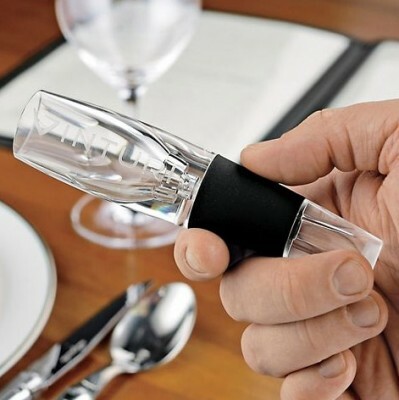 You can buy the Vinturi at various gift shops throughout Canada, or visit Wine Aerator Canada, an online eTailer that carries the entire line of Vinturi products at prices ranging from $33-$86. I recommend the combo pack of the white and red home aerators, or the home and travel pack of red aerators. Perfect for the wine lover in your life at any age, great for Christmas, birthdays, thank-yous, hostess, house guest, housewarming, or weddings.